I would love to use expletives in this review but will not stoop so low. But the product quality from Homeshop18 stooped low enough. Their service might not be bad but their sellers are committing frauds and homeshop18 is turning a blind eye to them. 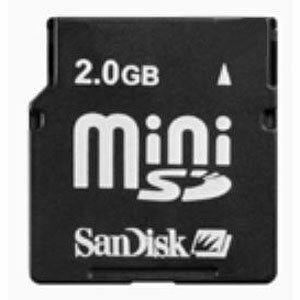 We had ordered a 2GB mini SD card from Homeshop18, they claimed it was a Sandisk card, so we bought it. On receiving the product it was found that it was actually a cheap Chinese fake which didn’t even work. The card was very cleverly put in a Kingston SD adaptor to fool the non-techie users into thinking that the product was of Kingston. 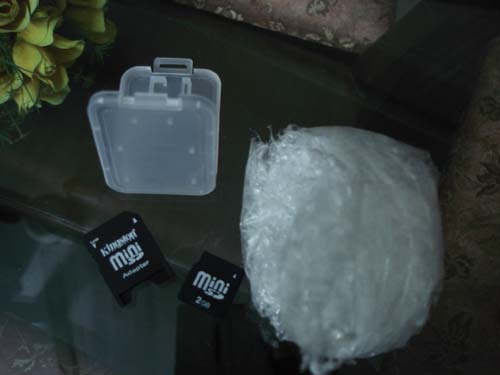 So it was not the Sandisk product advertised on Homeshop18 but a cheap Chinese. A lot of people are constantly being cheated in this way, many people are not aware of this modus operandi of the homeshop18 seller. The product on top is the product promised to me, the lower one is what i received, a cheap Chinese fake in a Kingston adapter. It was wrapped in polyethene. 2. The product continued to be on sale for a long time and still is, i can imagine more and more people are getting cheated. 3. I am yet to be refunded my courier costs for the whole transaction for which i have written to them many times. Hopefully when someone from their company reads this review they will expedite the process of my courier cost refund. Also Pehredaar (CNBC TV18’s show which exposes frauds) can easily do a full-fledged show on Homeshop18. The Zero rating is for this particular transaction, i am poorer by 180 rupees which was my courier cost and is yet to be refunded. I would give it a (.5/5) when i get my money back. I had ordered a Padmini Cooktop 2 Burner CS-201 vide order number 924275471 on 5 April 2013. The email I got from HomeShop18.com said “Your order has been shipped vide AWB no. 337627450 through Vendor Self . Please expect this to be delivered to you in 2-3 working days.” It has been 12 days now and I have still not got the ordered product. For the last 5 days I have been calling HomeShop18.com customer care and each day I am told that the order will come within 1 working day. There is in no delivery in sight. I had wanted to know if I could get a call at least before the product comes so that I can arrange for it to be accepted. But HomeShop18.com seems least interested in delivering my product after they have taken my money. I have ordered a silver ring to gift my friend on his b’day…..but after reading all the comments …..im scared……should i cancel my orders……???? ?